May 24, 2018 | Reviewed by H.L. My mother is living at Thrive at Prince Creek. It's brand-new, clean, and the food seem to be acceptable. It's not home cooking, but it's OK. The staff is OK, and she has no complaints. They have a bus that they go out on a couple of times a week for shopping, or to lunch in one of the restaurants. They have Bingo, entertainment, and people come in, like piano players. She's in a private room, they have four different types of rooms, and some have two rooms. The best way to get to know a community is by scheduling a tour. 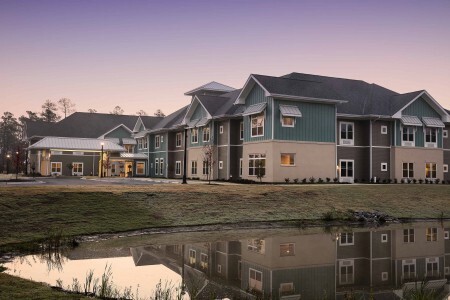 See the facilities, meet the staff and residents, and get a feel first hand what it's like to live at Thrive at Prince Creek Assisted Living. Just when you thought life by the sea couldn’t get any better, Thrive at Prince Creek has raised the bar. Great scenery is just the start. We’ve also instilled a new philosophy on senior living, as fresh as an ocean breeze. See, to us you’re not a senior, you’re a hero. You’ve fulfilled your obligations to your job and raising kids, but you haven’t stopped living. We believe the best part of your life is yet to come. At Thrive at Prince Creek, you can pursue your passions, learn, laugh, play, and dream. And you’ll do it with residents who share your interests, and our team members who cheer you on every step of the way. Memory Care is for our Elders who are living with some form of memory loss. Every member of the Thrive at Prince Creek team is NIDE (National Institute for Dementia Education) certified. That includes everyone from the chefs and housekeepers to the concierge and nurses. The education allows us to interact with our memory care residents as unique individuals rather than objects in need of care. Residents are engaged with the goal of helping them recapture moments of memories and the recognition of loved ones. We believe that if a community’s focus is strictly on care, they don’t care enough. At Thrive at Prince Creek, great care is just a by-product of bigger and better things.